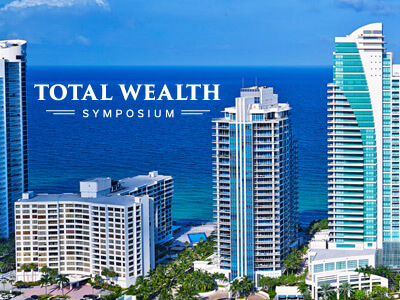 Miles Franklin will be a participating in the 16th Annual Total Wealth Symposium in September! It is an all-star roster of industry experts at a grand location on Florida’s Atlantic coast. Andy Schectman will be speaking on Friday, September 22 at 4:00 PM. Andy will also be participating on the “Rare Tangible Assets” panel with other industry experts Friday at 5:20 PM. This event has limited attendance and will sell out quickly!